Live in Mission Hills and enjoy all it has to offer. Mission Hills Real Estate offers distinguishable Prairie Style, Craftsman Style, Mission and Spanish Revival Style Homes. The beautiful gardens, winding canyons, and landscaping only enhances this community. Mission Hills is located adjacent to Hillcrest and overlooks Mission Valley. It is accessible by State 163, University Avenue and Washington Street. 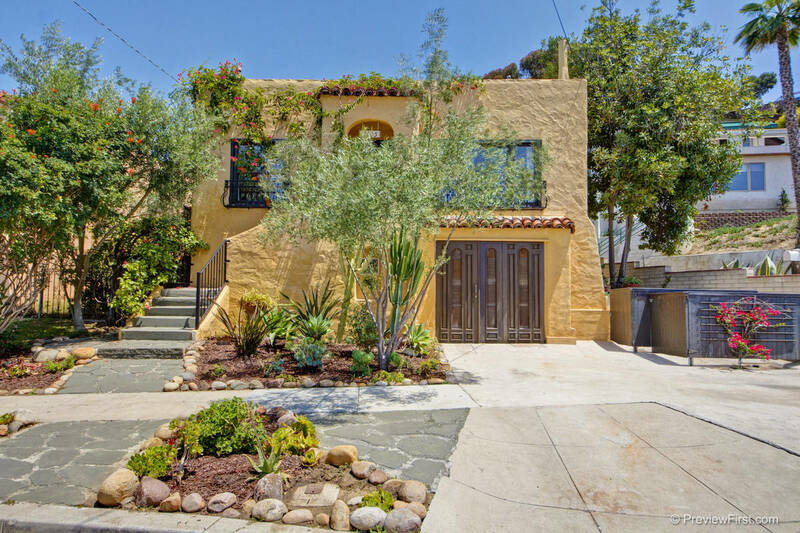 It is also one of San Diego’s oldest neighborhoods and regarded as one of the finest neighborhoods. Mission Hills Heritage is a group that assists with the preservation of the neighborhood’s character, historic resources, and charm. Mission Hills is known for its locally owned restaurants, shops, and pubs. All businesses are within walking distance for its residents and to the community of Hillcrest as well. There are two parks in Mission Hills, Pioneer Park and Mission Hills Park, that is highly utilized for picnics, walking dogs, a playground for children, or just relaxing. In addition to the parks is an outdoor theatre that has a season of recent movies and classics as well. For those look for a taste of humor can expect many laughs from the National Comedy Theatre located at 3717 India Street. In addition to the local entertainment, the central location of Mission Hills makes an ideal location to live and be close to attractions such as Balboa Park, SeaWorld, San Diego Zoo, and venues for the San Diego Padres and San Diego Chargers. Ulysses S. Grant Elementary School K-8 is a part of the San Diego unified School District. Point Loma High School or San Diego High School are options for students continuing their education past elementary school. In addition to the elementary school is the Mission Hills Library on west Washington St. and opened Tuesday through Saturday. There are two major hospitals located near Mission Hills, University of California at San Diego and Scripps Mercy Hospital as well as access to primary and specialty physicians. As with most San Diego neighborhoods, public transportation is easily accessible with service provided by the Metropolitan Transit System. There are many fitness-oriented businesses such as yoga, personal training, Pilates, acupuncture, holistic health, and massage. Discover Mission Hills for yourself and settle into the affluent and active lifestyle you have always wanted. San Diego has a lot of offer and you can find what you are looking for right here in the Mission Hills community! Make your mark today and join in on the fun of a lifestyle that revolved around you!